Jennifer Livett was born in Hampshire, moving to Tasmania with her family when she was still a child. She spent most of her life here, completing a PhD in English and becoming a tutor and English at the University of Tasmania. 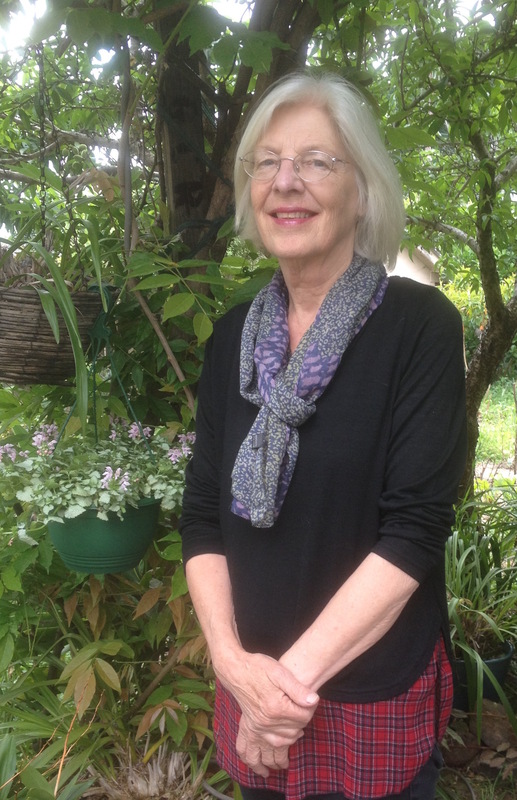 After retirement, she enrolled in printmaking at the Tasmanian School of Art. She now lives in Sydney, and her debut novel Wild Island has just been released by Allen & Unwin. 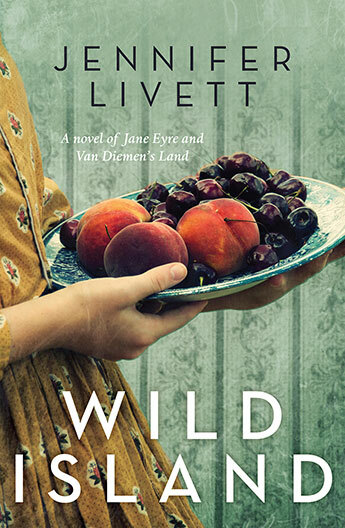 Wild Island provides an alternative ending to Jane Eyre, set not in England but in Van Diemen’s Land. This rich and vibrant recreation of a 19th Century novel entwines Jane Eyre’s iconic love story with Sir John Franklin’s tale of exploration and empire. A historically accurate depiction of Van Diemen’s Land society in the 1800s, as well as a vivid portrayal of the human cost of colonisation, Wild Island shows us that fiction and history are not so different after all. Every story – regardless of whether it is truth or fiction – is shaped by its teller. Visit this page to enter our Wild Island October giveaway. Can you tell us a bit about Wild Island, and the journey from when you initially wrote it to its eventual publication? It’s been a 40-year journey! When I was about 15, I decided to write a children’s book about two orphan boys escaping from Port Arthur and being pursued by the wicked commandant. This later became a novel for adults when I realised that Captain Charles O’Hara Booth, the Commandant in the 1830s, was not wicked at all; he was an interesting man with a fascinating circle of friends at the peninsula and in Hobart Town. A pivotal point came when I discovered Booth had previously been in the West Indies with his regiment – at about the time when Edward Rochester (the character from Jane Eyre) would have been there. Booth might have known Rochester! I wanted to use Jane Eyre because I was by then (in the 1980s) becoming interested in postcolonial theory. As Gayatri Spivak has written, although Jane Eyre is such an ‘iconic’ English novel, at the secret heart of it, significantly, is the colonial woman, the French West Indian ‘creole’, Bertha Mason, the Madwoman in the Attic. But perhaps she has only become mad because she has been forced to try to become an English gentlewoman? As Jean Rhys proposed in her novel Wide Sargasso Sea, Bertha’s madness may be all about cultural preconceptions; British ideas about the colonies, gender and imperialism. If you took Bertha away from England, might she become less mad? Do people’s identities change when they migrate to different countries? Did you enjoy the research you had to undertake for the novel? Almost too much! I’ve always been fascinated by Tasmanian history and kept getting sidetracked. Reading history is much easier than writing; but there was far more than I could use in the end. You moved to Tasmania as a child – do you feel more Australian or English, or a combination of the two? Very much a combination. When I’m in Australia I usually feel about 80 per cent Australian and 20 per cent English; but when I’m in England, I feel 100 per cent Australian. Following on, do you think your own background contributed to the decision to weave together an English and an Australian story? Absolutely. Even as a child I was very conscious of what it meant to my mother to leave England; her homesickness for English landscapes, her uneasiness with the Australian bush. By contrast, I knew my father loved Tasmania from soon after we arrived – he just wished people in Tas would be a bit more British! Do you think Australia, and specifically Tasmania, offers good places to be a writer? Basically, yes. And of course we’re lucky to be in any country that allows freedom of speech; but like many writers I’m worried by the government’s dithering on ‘parallel importing’ and about the cutting back of the Australia Council and funding to many Australian arts-related bodies. What do you miss most about Tassie now that you’re based in Sydney? Friends, pink-eye potatoes and having my own apple tree. Living at Taroona near the water, landscapes at the peninsula, the lack of traffic and noise and crowds. You are a printmaker as well as a writer – do you find there is any overlap between those two creative activities? Both begin with an idea, and in the process of trying to get what’s in your head onto the page, either as a print or in prose, you constantly have to make decisions about structure, what should go in or stay out, what’s working and what isn’t. For me, both are about the struggle to communicate, and in both the pleasures of the medium itself (the marks on the print surface, or words at the level of the sentence) are as important as the sense of the whole. I’m one of those people who write in their head while I’m washing up, cooking, hanging out laundry, sitting in cars, buses, trains, gardening, etc. (or often in wakeful moments in the middle of the night). Then I have to memorise the paragraph or two until I can get them on paper as fast as possible. I type these into the computer when I have time, and that suggests other paragraphs, and so on. I try not to edit as I go – but I do believe that in the end all writing is re-writing. (And I agree with what D.B.C. Pierre said: ‘Write in a white heat, edit in a cardigan’.) I usually write at the kitchen or dining table – but only if it’s quiet! Stop me when you’re bored: anything by Penelope Fitzgerald, Jessica Anderson, Jane Gardam, E. M. Forster, Terry Pratchett, Dickens or Trollope are fairly constant companions. I’ve recently read Edward St Aubyn’s, At Last, which I found very funny (although some people don’t). Ditto Charles Portis’s, The Dog of the South. I’ve also enjoyed two novels by Andrew O’Hagan; Be Near Me, and The Illuminations. I’ve started a novel set in Tasmania in the present day, but it’s too soon to say whether it will work or not!